Last week my children’s school had an ‘Independence Week’ where we had to practice dropping the children off at the front door and sending them in on their own. I noticed some children skipping and singing their way through the front door, but others that were not. My children I’m sad to say were the latter, and clung to my legs begging me to take them into their classrooms. I went to a seminar by the wonderful doctor Dr Maryhan Baker on anxiety in children, and I learnt so much. I know it’s never easy, but she’s done a little post for us on steps you can take to make drop-off a little bit less stressful for everyone involved. Nothing pulls at our heartstrings more than an unhappy child who needs to be peeled off us to go into school. 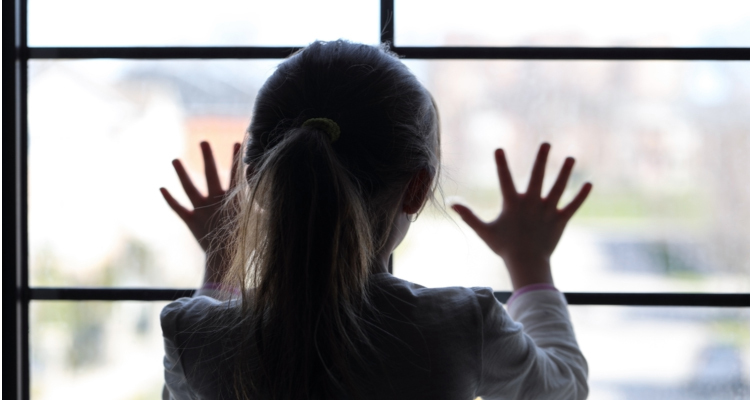 Whilst separation anxiety is a normal part of children’s development, if you are a parent with a child who sobs every morning when you drop them at school, it can be soul destroying. However, all is not lost. These five simple techniques should equip your child with the skills they need to overcome their anxieties, making saying those morning good-byes much more stress-free. You cannot expect your child to be confident saying good-bye to you if you are harboring any sort of guilt and angst yourself. So it is important to remind yourself that your child’s separation anxiety is a normal part of their development. It does not reflect poor parenting and will not cause any psychological harm to them in the future. With your own angsts in check you can ensure your good-byes are short and sweet, with no unnecessary lingering, which will make the process of saying good-bye much kinder to your child. Find a neutral time to discuss your child’s separation anxiety with them. You might start the conversation by saying “I’ve noticed you get very upset when you have to say good-bye to me at school. I can see how sad and upset it makes you feel, so I wanted to talk to you about how we might make it easier for you to say goodbye to me in the morning”. Then encourage your child to discuss possible solutions to the problem with you, so you can create your own unique ‘good-bye routine’. Once you have set up your good-bye routine it is always helpful to practice at home. It’s fun to start by asking your child to play ‘mummy’ and you can be them. You can then role-play arriving at school and following your agreed routine before swapping over and asking your child to try. This gives you a chance to ‘iron-out’ any crinkles in the routine and reinforce it with your child, so it seems much less daunting when they have to do it for real. Make it easier for your child to carry out your new good-bye routine by applying the routine consistently each and every day. Go through each step of the routine in the same way, say good-bye at the same spot, use the same phrases, and keep the parting short and sweet. Your child will gain a great sense of security from this new routine and over time their confidence will grow enabling them to go into school independently. Once your child is regularly going into school with no tears, you can gradually change the routine so they have more and more independence. By praising all your child’s efforts rather than focusing on the final outcome, you will boost their confidence and build up their self-belief.